Chamomile oil is native to England. It is now cultivated in Germany, France and Morocco. 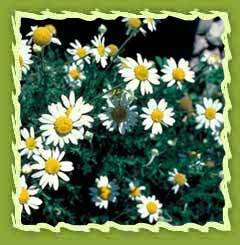 Camomile is a small perennial herb with a hairy stem and feathery pinnate leaves, daisy like white flowers (larger than those of German camomile) and grows about 25 cm high. Chemical constituents: : Chamomile oil has various chemical compounds that include Angelic, Azulene, Methacrylic, Butyric and Tiglic Acids. 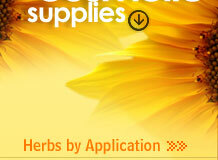 ExtractionIt is extracted by cold expression of flowers. The therapeutic properties of Chamomile Roman include: analgesic, anti-spasmodic, antiseptic, antibiotic, anti-inflammatory, anti-infectious, anti-depressant, anti-neuralgic, carminative, vulnerary, sedative, nervine, digestive, tonic and digestive. Roman Chamomile oil can be used for pain reliever, muscle aches, rheumatism, headaches, migraine, neuralgia, toothache and earache, skin problems, eczema, rashes, wounds, dermatitis, dry itchy skin and allergic conditions in general. It relaxes and soothes the nerves, digestive system and gynecological conditions. For babies, diluted soothes an irritated and teething baby and helps for colic, diarrhoea and gastric spasms.